I was honored to be invited to perform for Irish President Michael D. Higgins and First Lady Sabina Higgins for the annual Bloomsday Party. This event celebrates the Arts and Culture in Ireland and is named in honor of the great Irish Writer James Joyce. It was a great day and I got to bring my Mom as a guest! 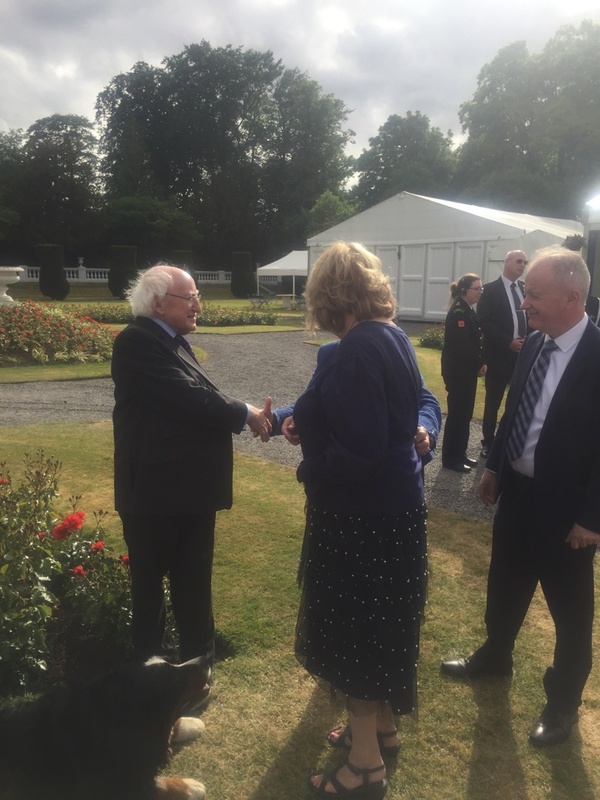 Besides the official photos with those of us performing, President Higgins was so gracious in taking relaxed photos with guests in the garden after the event.